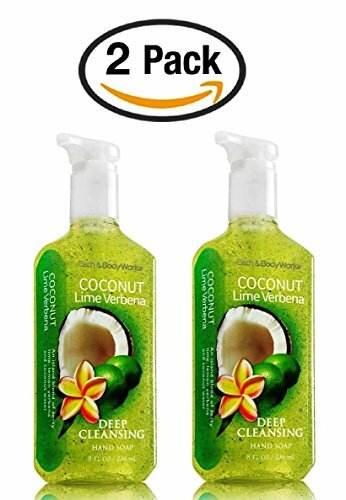 Bath & Body Works Coconut Lime Verbena Soap - Pack of 2 Zesty Lime, Lemon Verbena, and Coconut Water Scented Deep Cleansing Hand Soaps with exfoliating microsphere beads by Bath & Body Works at Gabrielle Salon Spa. MPN: unknown. Hurry! Limited time offer. Offer valid only while supplies last.